You can be a blessing to a child with special needs by participating in Holiday Helpers, The Children’s Center Rehabilitation Hospital’s annual gift drive. From Thanksgiving through New Year’s Day, local businesses, schools, churches, and families are invited to meet the material needs of patients by purchasing items ranging from diapers to specifically requested toys and therapeutic items. Participating in Holiday Helpers is easy and highly impactful. 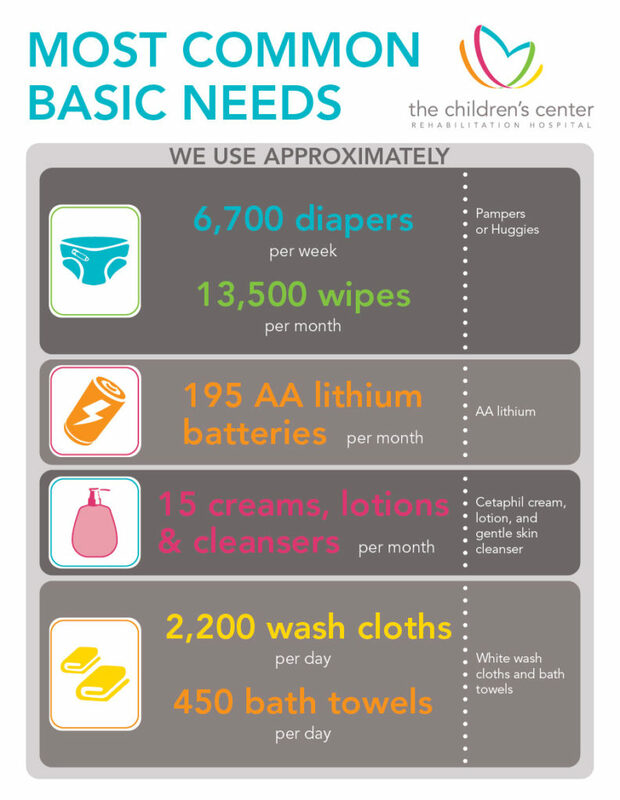 The items that are of the greatest need are included in the Basic Needs List. Shop here. Shoppers may choose items from departmental wish lists or purchase Christmas presents for specific patients. Needs lists are also available online at registries for Target.